As many of you may be aware, many presentations have been held regarding proposed Marine conservation zones within our area.What are Marine Conservation Zones?Marine Conservation Zones are a new way of extending environmental protection in our seas. They will protect nationally important marine wildlife, habitats, geology and geomorphology. Sites will be selected to protect the range of marine wildlife, not just the rare and threatened. Where will Marine Conservation Zones be?We don’t yet know where the conservation zones are likely to be because the stakeholder group has not made its recommendations. The recommendations are due to be made to the government in June 2011. However, we know that the recommended sites must meet certain scientific criteria, while seeking to minimise the social and economic costs and maximise the benefits to society. What activities may be restricted? We don’t yet know what activities may be restricted in the conservation zones. It will depend on what species or habitats are being protected and will be decided on a case by case basis. 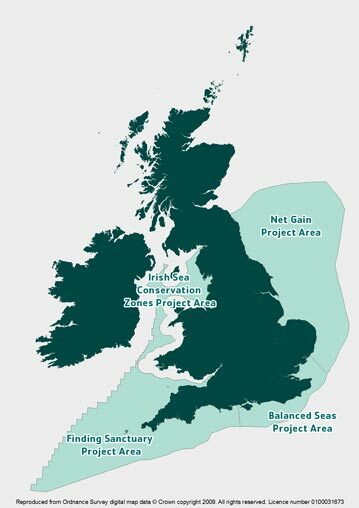 The maps below illustrate the areas covered by Irish Sea Conservation Zones and our three sister projects around England: Net Gain, Balanced Seas and Finding Sanctuary. 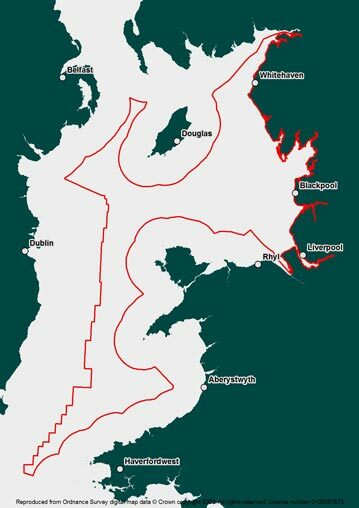 The Irish Sea Conservation Zones project area covers roughly 40% of the entire Irish Sea, or around 18,000 square km. This includes the inshore waters of England, plus the offshore waters of Wales, Northern Ireland and the Isle of Man up to the territorial line with Ireland. The main area that is being considered that would affect us is Shell flats a couple of miles west of Fleetwood and Rossall. There is also an area of reef on the Northerly edge of Lune deeps that is under consideration. There seems to be a distinct lack of information as to where these areas will definately be, what activities will be restricted, how they will be policed and even exactly what the intended goals will be. At this point we have been asked to “Have our say” about where Marine Conservation Zones should be located in the Irish Sea, what they should protect and what activities may be restricted. It is likely that Marine Conservation Zones will restrict certain activities in some locations, so it’s essential that you have your say about where they should be. Local liaison officers are out and about all around the North West and they are happy to meet you, attend events or make presentations.